The University of Duisburg-Essen (UDE) is renowned for its interdisciplinary focus on nano-research. Of national and international importance are especially the following areas: nanoparticle and nanomaterial synthesis, nano(opto)electronics and nano-magnetism. Work in this area is present in three Collaborative Research Centres, a graduate program, a priority program, numerous EU, BMBF, and other projects and embedded in industrial cooperation. Within the participating institutes and chairs, in addition to the extensive infrastructure, a broad, interdisciplinary expertise and specifically trained young scientists can be found, available to achieve internationally outstanding research results. TPolitecnico di Torino (POLITO) is the oldest technical university in Italy with almost 30,000 students attending 96 courses. Politecnico di Torino is strongly committed to collaboration with industry, and participates at the highest levels of international scientific research. The Department of Environment, Land and Infrastructure Engineering (DIATI) operates in the disciplines of hydrogeology, groundwater engineering, remediation of contaminated sites, geophysics, air pollution control and forecasting, sanitary engineering, petroleum engineering, topography, GIS and remote sensing, mineral science, environmental economics, transport. The Groundwater Engineering Group, headed by prof. Sethi, has consolidated expertise in groundwater engineering, aquifer characterization, and remediation and modelling, in situ reactive zones, transport of colloids and nanoparticles in saturated porous media, injection strategies in subsurface environments. The Katholieke Universiteit Leuven (KUL) is the oldest university of Belgium (established 1425) and has over 40,000 students in all disciplines. The Division of Soil and Water Management is part of the Department of Earth and Environmental Sciences that carries out state-of-the-art scientific research with respect to the functioning of geo- and ecosystems at different spatial and temporal scales, including the interaction between humans and the environment and the sustainable management of natural resources. The Division of Soil and Water Management focuses on chemical, physical and microbiological processes processes in soil and groundwater. It has a permanent academic staff of 8 professors. Friedrich Schiller University Jena (FSU Jena), founded in 1558, is one of the oldest universities in Europe, being a member in the COIMBRA group, a network of prestigious, traditional European universities. Within the FSU Jena, the Chair of Hydrogeology is embedded in the Institute of Geosciences. It is in close contact with local research institutions, e.g. the Max-Planck-Institute for Biogeochemistry and the Leibniz-Institute of Photonic Technology. The Chair of Hydrogeology focuses on a deep understanding of structure, dynamics and functions in the critical zone. Within this frame, the interplay of formation, physicochemical properties and mobility of colloids is of particular interest. This requires sophisticated experimental designs on lab- and field scale, which were developed and applied to projects that focused on fundamental research as well as to applied questionings, e.g. the development of innovative remediation technologies. TECNALIA is the leading private research and technology entity in Spain and the fifth largest in Europe. TECNALIA employs 1,437 people (164 PhDs) and its turnover is 121 M€. It filed 53 patents, had 3800 clients and created 8 spin‐offs in year 2009. TECNALIA was very active in participating the Seventh Framework Programme (FP7) having already 150 funded projects, 31 of them coordinated. LEITAT is a technological centre specialized in production technologies. LEITAT develops R&D activities in the areas of materials sciences, environment, surface treatments, biotechnologies and renewable energies with deep knowledge and experience in technological transfers to several industrial sectors. 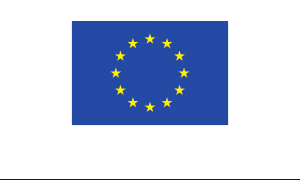 LEITAT takes part each year in projects financed by the national government, co-funded by the European Commission, and develops private R&D projects funded by industrial partners. LEITAT is recognised by the Spanish Government as a CIT (Centre of Technological Innovation) and is one the 5 Technology Centres that is accredited by the regional Government of Catalonia. Finally, it is member of FEDIT (Federation of Technological Centres in Spain) and the IT Network of the Catalan Regional Government. KIM is a reference entity in innovation, knowledge transfer and implementation of scientific technological structures worldwide, whose mission is to improve the competitiveness and the technological progress of companies through specialized services, positioning and consolidating a knowledge transfer model at global level. Geoplano’s goal is to provide accurate and reliable data regarding geological and environmental parameters, minimizing uncertainty aspects and contributing to the development of more economical remedial solutions.